For many people, the scariest part about having any medical procedure done is going under anesthesia. Anesthesiologists play a vital role in ensuring that the process goes smoothly. If they make a careless error, the consequences can be devastating for the patient. Like other physicians, anesthesiologists owe every patient a duty to abide by the appropriate standard of care. If an Anesthesia Error happened by a negligent physician in the Baltimore area, you should seek the help of a medical malpractice lawyer at Wais, Vogelstein, Forman & Offutt. We have over 75 years of combined experience handling virtually every type of medical malpractice case, including those arising from anesthesia problems. We can put this knowledge and experience to use in pursuing the compensation that you need. Given temporarily to stop the sensation of pain in a particular area of the body. The patient remains awake and it is administered by injection directly into the area. This is most often used for sutures. If a larger area needs to be numbed a regional anesthetic may be used. Is used to numb only the portion of the body that requires the surgical procedures. There are several forms of regional Anesthesia including Spinal and Epidural. Spinal Anesthesia is used for lower abdominal, pelvic, rectal or lower extremity surgery. While similar, Epidural Anesthesia is used most often for chest or abdominal procedures of childbirth. This most widely used technique is used to induce unconsciousness through inhaling a gas or through IV. Anesthesia errors may include providing too much or too little anesthesia, medication errors, delayed anesthesia delivery, lack of oxygen, and preventable allergic reactions. Another problem that could arise in this area is “anesthesia awareness,” when a patient is fully awake yet unable to move or inform the doctor about what he or she is experiencing. This condition may occur if the anesthesia is ineffective, wrongly delivered, or poorly controlled. It can inflict serious emotional trauma and psychological damage to the patient. People who have been hurt due to the negligent administration of anesthesia can take legal action against the anesthesiologist and, in some cases, the hospital or medical facility for which the individual works. Typically, the injured party can file a medical malpractice claim. Under Maryland medical malpractice law, patients have a certain time frame to file their claims. This period is known as the statute of limitations. Generally, a patient has five years from the date that the injury was caused or three years from when the injury is discovered, whichever is earlier. If you have suffered the tragic loss of a loved one due to an anesthesia problem, you may be able to file a wrongful death claim against any at-fault party. The statute of limitations for a wrongful death in Maryland is three years from the date of the death. The state of Maryland has enacted limits or a “cap” on non-economic damages in medical malpractice cases. Non-economic damages encompass intangibles such as pain and suffering, physical impairment, disfigurement and scarring, loss of consortium, and other non-pecuniary losses. The amount of the cap is currently $725,000 for non-economic damages. It is important to note that it does not affect a victim’s ability to seek economic damages, such as medical expenses, rehabilitation costs, lost income, and other objective costs. At Wais, Vogelstein, Forman & Offutt, our injury attorneys understand that people in Prince George’s County and other areas of Maryland can suffer traumatic harm as a result of an anesthesiologist’s error. When you or your loved one has been harmed due to the negligence of a health care provider, you can potentially assert your rights. We can zealously advocate for you and pursue the maximum possible compensation permitted by law. Our team works aggressively and compassionately for the most seriously injured individuals in our community. To learn more, contact us online or call us at 888-952-9669. Largest Malpractice Verdict in MD. Largest Malpractice Verdict in TN. Gary is the senior managing partner. Practicing for 30 years, he has dedicated his career to championing the needs of the most seriously injured victims of malpractice. Focusing specifically on birth injury cases, Gary continues to obtain record setting verdicts and settlements in Maryland and Nationwide. Kenny is a senior partner and a physician. His medical knowledge has proven invaluable in his 25 year practice. 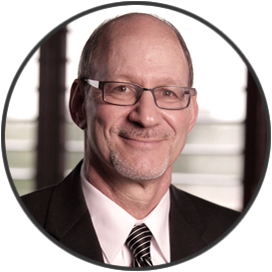 Kenny focuses on birth trauma, cerebral palsy and catastrophic malpractice injuries. He has recovered millions in verdicts and settlements on behalf of his seriously injured clients. Keith, a partner, was member of the team that obtained 3 of the 4 largest verdicts in Medical Malpractice history in Maryland, including a $55M verdict and a $21M verdict respectively against two hospitals. A keen and tenacious advocate for his clients, he was invited to join the prestigious Million Dollar Advocates Forum. 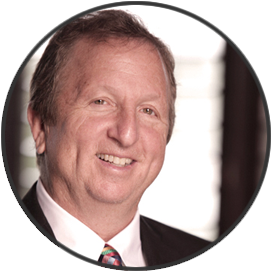 Stephen is one of the Nation's preeminent and seasoned Medical Malpractice trial lawyers. With an extensive record of multi-million dollar verdicts, in 2014 the National Trial Lawyers Association named him one of the Best Trial Lawyers in America following a birth injury verdict for $33.4M. Stephen fights aggressively for seriously injured children nation wide. "A seriously unbelievable malpractice team. It truly is high-stakes litigation and this is the malpractice dream team you want. They have the knowledge, resources and tenacity to obtain successful results over the long haul and they are clearly not afraid of anybody. Because of their work, our familie's very existence is made possible." "Reading this firm's lengthly list of verdicts and settlements in medical malpractice and birth injury is what convinced us. We took a lot of time to select the right law firm for our disabled child with serious life time disability and we are glad we did. Our son will have millions in life time needs because of the hospital care and they did not want to listen to us. They can hear us loud and clear now." "There are no words to begin to explain how grateful we are for what your team has done for our family. I cannot begin to imagine how we would have survived following the negligent care. Your positive encouragement and support was a beacon of light throughout this difficult process. Hearing that eight figure verdict read in court was the sweetest thing I have ever heard. Thank you and Bless you. "